Let’s face it, any leak of classified information that reveals a new electronic surveillance capability of the U.S. intelligence community is almost immediately met with a chorus of weeping angels decrying the evil tendencies of intelligence apparatchiks bent on violating the privacy of average Americans. As a former intelligence officer, I always chuckle listening to the news reports (I’m listening to one by CNN’s Jake Tapper right now as I type this) warning Americans that the private details of their lives are at risk from the horde of three-letter agencies in and around Washington, D.C. I laugh because of the absurdity of thinking that the CIA or any other agency of the U.S. government has the manpower, time, or interest in spying on you while you watch a movie in your living room. The other reason I laugh—and this is much more important—is because there is very little thought ever given by mainstream journalists or pundits as to the significance of the devices being targeted. As a former intelligence professional, the first thing I ask is, “what intelligence target would hacking such a device give me access to?” Well, the answer I’m looking for in this case is pretty simple. And no, the CIA doesn’t care what Jake Tapper is watching on television late at night when (on the rare occasion) he’s not actually on TV. For example, since the news broke that WikiLeaks published thousands of documents detailing the CIA’s hacking arsenal targeting iPhones, driverless cars, and smart TVs, has anybody wondered why the CIA would focus on iPhones and Samsung Smart TVs? Let’s look at where the data leads us. You don’t have to be an intelligence officer to know that China is Apple’s most important market when it comes to iPhone sales. Sure, sales in China recently tanked, but that doesn’t mean our intelligence agencies should ignore the fact that Apple sold nearly 45 million iPhones in China last year. 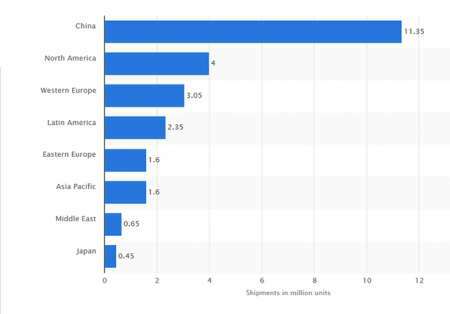 And the rumored major redesign of the iPhone is directed squarely at taking more of the market share in China. You also don’t need to be the CIA director to know that Samsung dominates the smart TV market, especially in Europe and China. The latest sales figures indicate that smart TV manufacturers shipped more than 11 million smart TVs to China—nearly three times the number sold in the U.S.
News Flash: The United States has a vital national interest in spying on China. They are among our most important potential adversaries on the world stage. I just hope the CIA is working on similar exploits for smartphones manufactured by OPPO, Huawei, and Vivo, and China’s newest smart TV players like Xiaomi, Alibaba, Hisense, and Baidu. Because Chinese politicians and senior Army officers are surely busy disposing of their Samsung TVs right about now.